Problem VirtuCache solves: VirtuCache improves storage performance of any existing SAN storage appliance and storage network without requiring a hardware refresh. VirtuCache is kernel mode software installed in VMware vSphere along with any SSD in the same host. It then automatically caches frequently used data (both reads and writes) from any SAN based storage appliance to this in-host SSD. Subsequently, by automatically serving more and more data from this much faster in-host SSD (instead of backend storage appliance), VirtuCache improves storage performance considerably, thus allowing higher VM consolidation ratios and improving application performance from within VMs. VirtuCache competes with SSD based storage appliances. Since the SSD is closer to the CPU in the case of VirtuCache, storage latencies will be lower than any SSD based storage appliance. It’s also a cheaper alternative than upgrading to an all-flash array. Accelerates both reads and writes – all frequently read data is cached to the host based SSD and all recent writes are written to this same SSD. Writes cached to the SSD are asynchronously synced with the backend storage appliance. Cache coherency – Since writes are written to only the local SSD without synchronously writing to backend storage, writes need to be protected against host failure. This is done by mirroring writes across hosts. In case of host or SSD failure, such mirrored copies of writes from another host are immediately synced with the backend storage appliance. Ability to control caching policy at VM and datastore level. Seamless support for VMotion, High Availability, Snapshots, DRS, Linked Clones, and Storage VMotion. Data center wide cache management using CLI or graphical UI within VCenter. More on VirtuCache software architecture here. 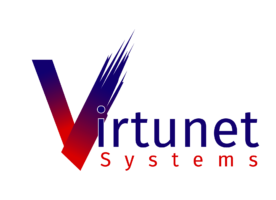 We have installed VirtuCache to improve the performance of our SQL, CRM, and Fileserver VMs. Virtucache was installed in ESXi 6.0 along with an enterprise grade Intel SATA SSD, it then cached data from datastores on Equallogic appliance to this in-host SSD. After deploying VirtuCache, we experienced under 10ms VM level latencies at all times.